A growing body of evidence shows that areas in the United States with robust primary care systems tend to have better outcomes and lower per capita costs than areas that rely more on specialists. (1) Over the past several decades, the US medical education system has produced an increasingly specialized physician workforce without any strategic direction toward achieving a socially desirable mix of primary care physicians (PCPs) and specialists. (2) At the same time, health care reforms, such as patient-centered medical homes and Accountable Care Organizations (ACOs), rely more on PCPs and other providers who are equipped to coordinate their own care with the care of specialists. Demographic trends signal a growing need for such coordination as the population ages and patients with multiple chronic conditions become more prevalent. (3) Despite these trends, physicians in training tend not to select primary care or related specialties. In Medicare Graduate Medical Education Funding is Not Addressing the Primary Care Shortage we investigate whether and to what extent the ways Medicare pays for physician and hospital services and subsidizes graduate medical education (GME) in teaching hospitals either fosters or acts as an impediment to achieving a mix of specialists and PCPs consistent with more effective and efficient delivery of health care. (4) Looking at this issue through the lens of the medical education marketplace, we conclude that Medicare’s GME subsidies have relatively little effect on specialty mix. However, Medicare’s payment system may tend to skew the choices made by doctors when selecting residency programs and entering into medical practice. In 1992, Congress changed the method of reimbursing physicians from a system based on individual physicians’ historical charges to one based on the “relative values” of the thousands of services physicians charge Medicare for. This meant that while fees for existing services have increased very little over the past several years, high payments for new services coupled with substantial increases in the volume of expensive diagnostic and other procedures, have widened the income gap between physician specialties. Note: Primary Care Physicians include Internal Medicine, Family Medicine, and Pediatrics. 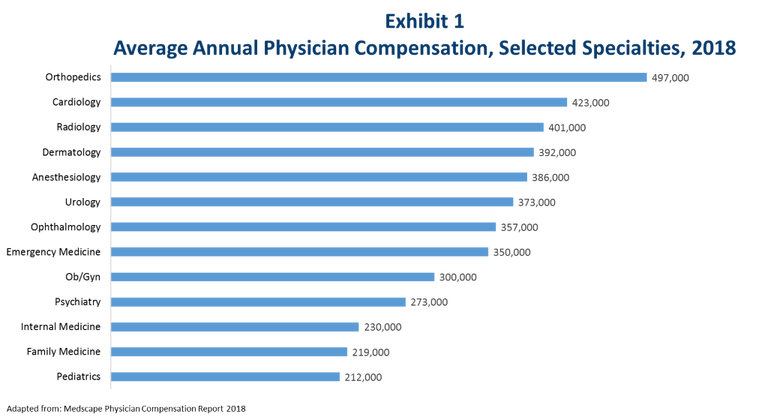 We conclude that the mix of physicians in the US has too few PCPs and too many specialists, the income gap between the two is a major determinant of the PCP/specialty mix, and Medicare physician payment policy is a major contributor to the income gap. Changes in GME payments to hospitals to favor training of PCPs have little potential to make a meaningful difference because other incentives affecting physicians in training and teaching hospitals are too powerful. 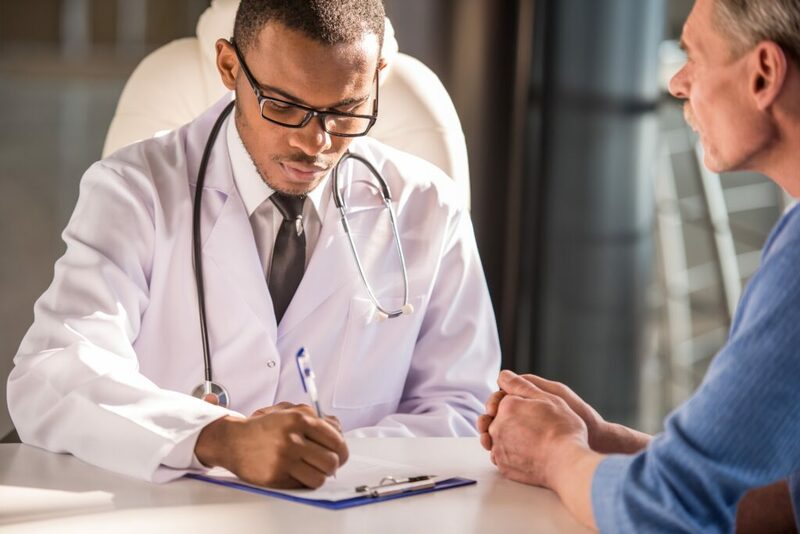 We find that loan forgiveness policies for medical students who pursue careers in primary care appear to be a promising path towards closing the gap and incentivizing more medical students to pursue careers as PCPs. However, no approaches focused on medical education are likely to be successful without revamping the Medicare relative value scale so that it contributes less to the physician income gap. IOM (Institute of Medicine). 2014. Graduate medical education that meets the nation’s health needs. Washington, DC: The National Academies Press. https://doi.org/10.17226/18754. Dall, T. et al. (2013). An Aging Population and Growing Disease Burden Will Require A Large and Specialized Health Care Workforce by 2025. Health Affairs. https://www.healthaffairs.org/doi/abs/10.1377/hlthaff.2013.0714. The 4 years of medical school are referred to as “undergraduate medical education.” Graduate medical education (GME) consists of residencies and fellowships served in teaching hospitals.